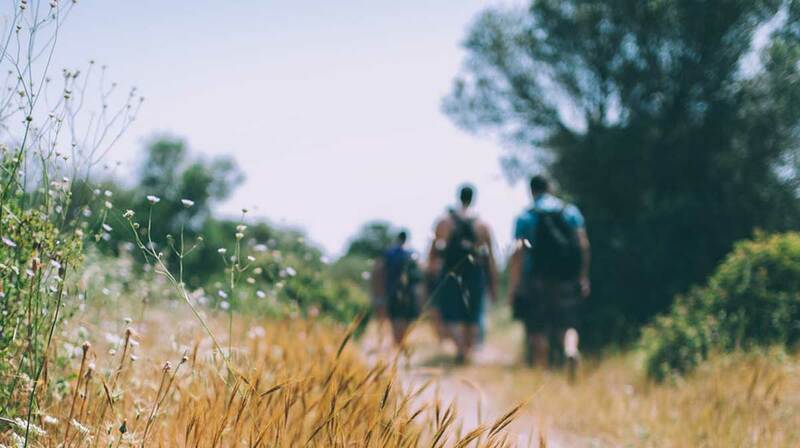 Summer hiking is popular for outdoor enthusiasts in this season, whether you’re preparing for a weekend in the woods or the ever-impending apocalypse, taking survival gear you can depend on is critical. No matter medical supplies or basic survival tools, they might save your life in emergencies. So here we’ve created a checkoff list of items typically included in a survival kit, along with recommendations for the best survival gear currently on the market. Have you ever been in a situation where you can’t get any help while on an adventure? You reached for your phone and there’s no signal; you call for help and no one hears you. You’re in pain, your body hurts, you’re exhausted and YOU ARE LOST! Featured with giving users the ability to connect with other travelers — friends or family — while off the grid, GoHeart allows you to get help, track friends and talk with them without needing Internet or telecommunication signal, it just like a smart walkie-talkie as well as an off-grid tracking device that equipped with text message, voice message and real-time location sharing functions, so you’ll stay connected in any situation. GoHeart does so by creating a mesh network capable of privately sending messages via an ultrahigh frequency spectrum (UHF), while using DSSS to reduce overall signal interference and supports a higher coverage range than a traditional walkie-talkie. Communicating with those outside your immediate group is incredibly important during any emergency. The technology also allows GoHeart to be sensitive in receiving transmission with low power consumption, it is really a must-have for outdoor communication. Built with 600D polyester durable material and features multiple inner sleeves organized by category, this compact first aid kit allows you to access the items you’re looking for quickly and efficiently. With 100 essential basic life-saving items (such as antiseptic wipes, cotton swaps, triangular bandages medical shears, tweezers, safety pins, etc.) while weighing only 1 pound, the slim bag can be kept in your backpack easily or just hang on the outside of your hiking pack. It is water resistant and all inner items are protected from water in durable laminate pouches. Extremely a perfect preparation for outdoor emergencies. It sounds scarier than death for living without electricity in this information era, as for outdoors, the devices including phones, walkie-talkie, flashlight, GPS tracker, etc. all need enough power to support them to work, so a power bank is necessary for all of these devices, including outdoor emergencies. Constructed with 21 watts high-efficiency sunpower panel, the power conversion rate increases up to 21%-24%, this foldable solar power bank provides enough power to charge 2 devices at same time. Water & dust resistant panel makes it durable and long-last to use; while lightweight (18 oz) and ultra-compact size allow it easy to be kept in the backpack and bring for a quick charge anywhere there is the sun. You will no more worrying about your electronic devices running out of power. A compass is a direction guide for you when there is no landmark outdoors, it is one of the key tools for the outdoor emergency, especially when you lost the way. Built-in a bubble level, the accuracy of this multifunctional compass can be improved and decrease its errors; high strength engineering metal body allows it rugged and can be used under extreme weather condition; with a special design of fluorescent light, you can use it and read data on it in dark environment after absorbing enough sunshine. It is waterproof and shockproof, suitable for motoring, boating, camping, mountaineering, exploring, hunting and other outdoor activities. LifeStraw is the ingenious invention that lets you drink directly from puddles or streams without any of the risks normally associated. It will remove over 99% of bacteria, including Escherichia coli (e-coli), Campylobacter, Vibrio cholera, Pseudomonas aeruginosa, etc., so that making contaminated water safe to drink. Needless to say, this could prove to be a savior if a real survival situation kicks in while you’re hiking, or even just provide some quick relief from dehydration while you’re on a regular trek. Small tools are usually needed unexpected in the journey, but it is impossible to take every tool in your backpack. So, what you need is a multitool device. This update to everyone’s favorite multi-tool has all the tools you would expect, it is equipped with 21 tools, including knives, pliers, screwdrivers, wire cutters, an electrical crimper, a wire stripper, scissors, bottle and can openers, files, a saw with blade exchanger, an awl, and a ruler. Take it backpacking with you or toss it in your survival kit, and you’ll never be unprepared. This survival bracelet is not only an ordinary bracelet, it can be unraveled into a 12-foot paracord that can hold more than 500 pounds or unfastened quickly and used for hanging objects or foods, stopping bleeding after injury, fixing a hammock, as well as used as a clothesline, shoelace and so on. This bracelet also has a mini compass, flint, a waterproof thermometer, SOS light and a whistle for emergency use. Well, it can’t be express in one word, you can send me emails at miawang8023@hotmail.com, and we can talk deeply. Yes, we just want to share the best outdoor products with the readers. Thank you for your support. Welcome to share our blog with your friends.